Following in the curmudgeonly footsteps of 'One Grump or Two', 'The Grumpy Driver's Handbook' is a celebration of all that is miserable and tedious on the road. Driving brings out the worst in even the most mild mannered individual and so a book on the worst habits in motoring and the 'joys' of car ownership is the natural gift for the career grump. Spurred on by endless roadworks, coned-off lanes, BMW drivers, white van men, speed cameras, lunatic cyclists, rude taxi drivers and kamikazi motorcyclists, the grump has an ocean of opportunity for expression. 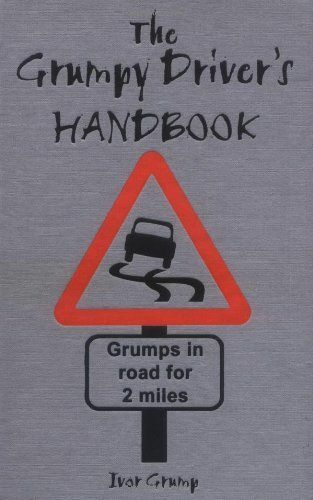 'The Grumpy Driver's Handbook' (including 'The Highway Grump') tackles the evils of lane swappers, caravan owners, bumper huggers, rubber neckers, light jumpers, hard shoulder cruisers, sleeping policemen and speaking policemen.